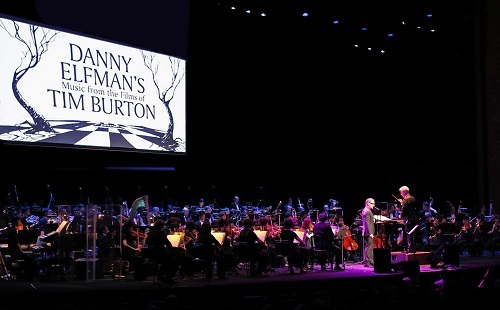 Danny Elfman's Music from the Films of Tim Burton - The ticket prices for this are always steep, but when I see videos of it I always wish I had gone! Maybe next year I'll find some friends who want to go, too! I so need to see this! 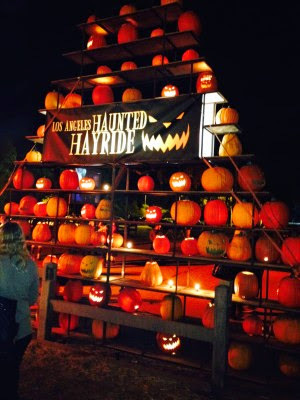 LA Haunted Hayride - Every year I've said I wanted to go, and every year I miss out! Next year I MUST make time for this, especially since they serve vegan food at it, too! Plus it's not only a haunt, but a hayride, which seems to always evoke the Halloween spirit! 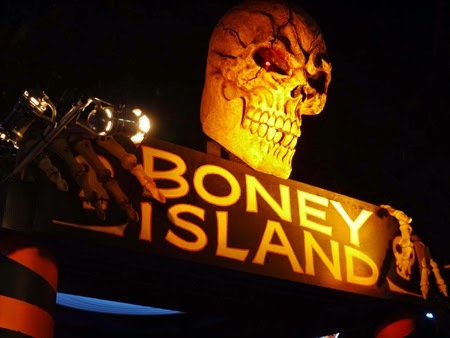 Boney Island - This free and elaborate home haunt in Sherman Oaks looks amazing, but I've never been. Need to remedy that. Maybe I can combine it with another Halloween event next year and make it out that way. 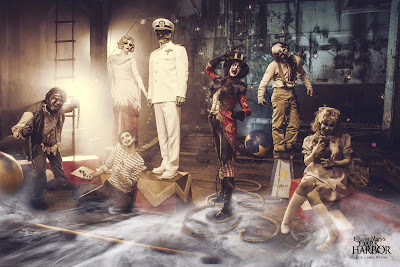 Queen Mary's Dark Harbor - I don't know why this haunt falls beneath my radar every year...I've heard lots of good things about it and it is probably high time I actually check it out! 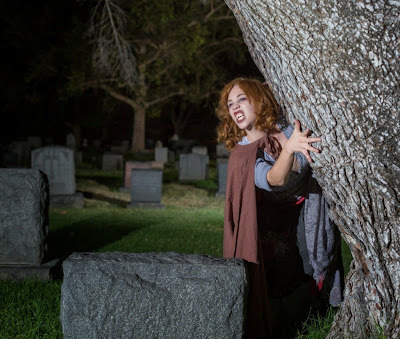 Wicked Lit - This production puts on plays based on literary works in a cemetery...at night!! If that isn't so my scene, I don't know what is. I so wanna do this one night next October! 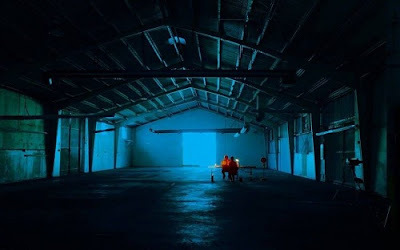 The Tension Experience - This is a new event from Darren Lynn Bousman (director of Saw II - IV, Repo! The Genetic Opera, and more) that premiered just this year, and its mix of immersive theater and haunt looks spooky and enthralling! All I've been hearing are raves from the experience, and it looks like the new website for next year's event has already popped up and it is called The Lust Experience. Visit the Halloween, Nightmare on Elm Street, American Horror Story, etc. houses - The houses where they shot the exteriors for these films/TV show are all in LA, but I've never been! I want to go site outside the Myers' house and pose with the pumpkin they leave out for visitors! 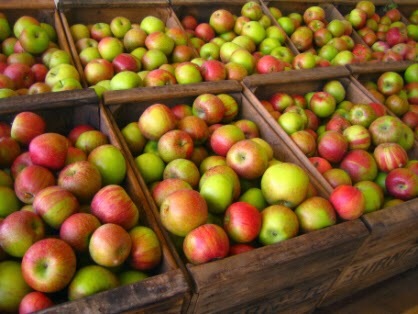 Visit an apple orchard/pumpkin patch - I would love to go back to Julian (post about our visit in 2013 HERE) or visit Oak Glen for the first time to go apple picking and visit a small-town pumpkin patch! Salem, Massachusetts - Witch City is where its at and this is number one on my travel wish list! I have never been, and it looks pretty magical during autumn when all the leaves change, not to mention how they go all out for Halloween (though, truth be told, I would rather go in September or November when some of the crowds have dissipated). Sleepy Hollow, New York - I have been here before (pics), but it was in late summer, and I want to go when it is autumn with all the leaves turning colors and special events taking place in the cemetery and town! New Orleans, Louisiana - Exploring the old cemeteries and visiting some haunted spots in this city are high on my list of to-do's and I imagine the energy there during Halloween is unbeatable! Half Moon Bay, California - This is a little closer to home, but I've never been to their beautiful pumpkin patches, which I hear are gourd-geous (hahaha, had to!). What's on your bucket list for next year's Halloween festivities? Wicked Lit sounds awesome! I'd love to attend something like that. I attended Danny Elfman does "Nightmare Before Christmas" in 2015 -- it was UNBELIEVABLE!!! I went by myself, so I was able to score an amazing single ticket in a front box. Wanted to go in 2016, but I was at Walt Disney World enjoying their "Hocus Pocus Spooktacular" show (another fantastic show, filmed frequently & on YouTube). Two people I know did the Haunted Hayride and it sounds fun, so it is on my 2017 Halloween List. Like you, I have never attended the Queen Mary Dark Harbor, which is weird 'cuz I've done Knott's Scary Farm, Halloween Horror Nights at Universal Studios and even Six Flag Fright Fest. So, I will add the Queen Mary to my Halloween 2017 list. I've even done apple picking in October! Oh, oh, you may want to consider Halloween Horror Nights at Universal Orlando -- I did that many years ago and it was fun. They had Beetlejuice! That's so cool! The concert looks amazing and to see it in a front box!!! Ahhhhh nice on seeing the Hocus Pocus show in Orlando, I really wish they would bring it to Disneyland. I am feeling the Halloween blues in January, but at least we have Midsummer Scream in July, 2017 to look forward to. They have already announced the dates: July 29 & 30, 2017 at the Long Beach Convention Center. I attended the freshman event last year and was impressed at their sincerity and efforts. Everyone there, attendees and participants, were very friendly & helpful. Can't wait to go again this year! Less than seven months away! Woohoo! You are in the right place to be curing (or at least easing) those Halloween blues! I can't wait for Midsummer Scream; you're right - last year was so fun! I did a write up of it here: http://www.thespookyvegan.com/2016/08/recap-midsummer-scream-halloween.html There are also some great Halloween markets coming up! Halloween Club is having their's in March, I believe!